Welcome to Married Life: Tea Collection: Citizen Blue and India extra 25% off! Tea Collection: Citizen Blue and India extra 25% off! It's here, for three days only the Tea Collection Citizen Blue styles are finally on sale! Use code INDIA25 for 25% off any Citizen Blue or India items and free shipping over $75. A semi-annual collection that celebrates the magical spots we stop along the way to somewhere else. Rooted in rich indigo hues, Citizen Blue revisits heritage Tea styles and favorite prints from places we’ve already been and offers new designs inspired by places we’ve seen only glimpses of. 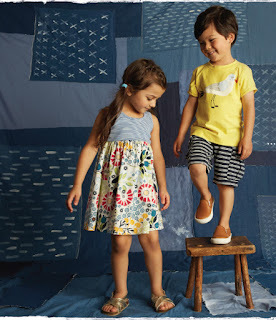 All of the India and Citizen Blue clothing is already on sale, now take an extra 25% off mark downs! Blue Lizard Sunscreen = Awesome! 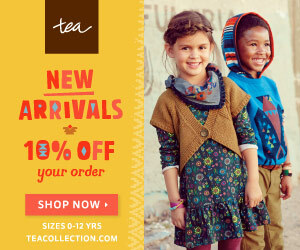 Final India Sale at Tea Collection!